Down For The Count Swing Orchestra are London's hottest mini Big Band and vintage dance orchestra, and they return to Hideaway � it's time to celebrate Christmas with The Rat Pack! 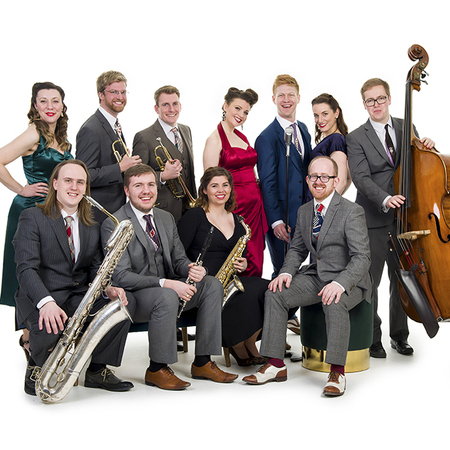 The Down for the Count Swing Orchestra bring the sounds of the Swing Era back to life, with a stunning and energetic show celebrating the best music of the 20th Century. The band have been described as "a breath of fresh air on the swing scene", and have performed for audiences up and down the country including at Twinwood Festival, the London Jazz Festival, the London Swing Festival and Pizza Express Jazz Club, Soho. Recently their new album "Let's Dance" was played on Clare Teal's BBC Radio 2 show. Join the band at Hideaway in December for a Rat Pack Christmas Special – as they perform all your favorite hits from the legendary trio of Frank Sinatra, Dean Martin and Sammy Davis Jr. .. with just enough Christmas numbers to put you in the festive mood! Expect to hear classics such as I've Got You Under My Skin, Ain't That a Kick in the Head, Mr. Bojangles, Let It Snow and many more.